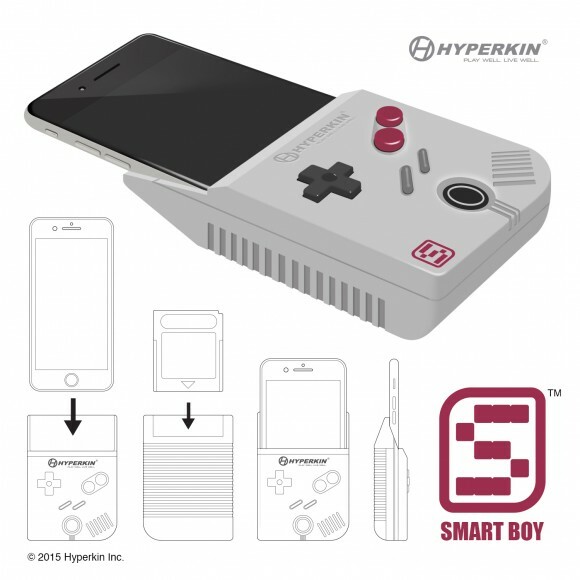 Hyperkin has developed a Smart Boy add-on that turns the iPhone 6 Plus into a cartridge loading Game Boy-compatible device. In a great week for gamers – when Valve released a free remastered Half-life 2 and ThinkGeek a faux coal-powered Steam Machine – now the Nintendo king of portable gaming, the Game Boy, is being made compatible and significantly upgraded by Hyperkin for use with a modern iPhone. This extraordinary retro gaming device is coming to the consumer handheld market. The tinkerers over at Hyperkin got started in the lab and instead of Frankenstein’s monster they got an evolving and powerful lizard-red colored Charizard from the blue Pokemon Game Boy game of my youth … on their phones. Originally a planned April Fool’s Joke – now a full fledged project for consumer release – the currently named Smartboy will attach to the iPhone 6 Plus, turning the phone into a handheld gaming device compatible with Game Boy and Game Boy Color cartridges. And the tools of this Smart Boy are truly badass. We are talking about an eight-way D-pad, two action buttons, a start and a select button! The vivid screen of the smartphone is fully utilized with the “Smart Boy” app (free with the system) that upscales the games, allows for saving abilities, and cheats. And you never have to worry about finding which of your two dozen double-A batteries work, because the phone powers the Smart Boy, and the Smart Boy comes with an extra charging pack for the iPhone. 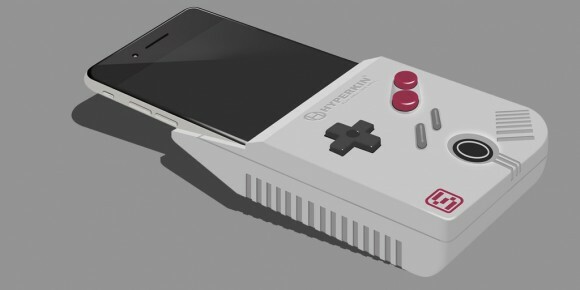 The first working prototype comes in the 1980’s Nintendo gray, the retro gaming culture will appreciate the NES tone, and only for the iPhone 6 Plus. 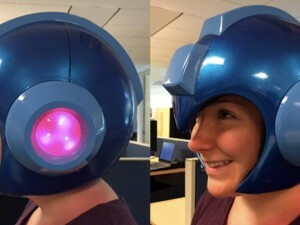 There is no word on cost yet, but this thing is damn near priceless. Long ago, in a Super Mario World far, far away, my Pokemon orb chucking, Tetris puzzle crushing, Koopa squashing fun ended abruptly when the screen on my original Game Boy came to a very anti-climatic and silent pop of gray lines that emerged on the device and forever tainted its ability to game. At that time, the Nintendo Game Boy Advance was getting hard to find, and I foolishly let the matter be. Years later, I am still tormented by my lack of using the Game Boy’s Charizard to fight things on a mobile screen; I yearn for making use of the original, tiny, magical plastic Game Boy cartridges and the retro gaming goodness that is oh so satisfying to play. Hyperkin is working on Android and Windows devices, but the first Smart Boy will grace the screen of the iPhone 6 Plus exclusively, and it is to be hoped … very soon!